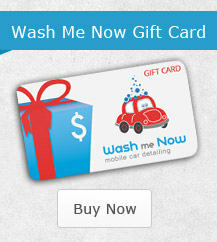 Expert Mobile Car Detailing with Wash Me Now. Have you ever thought that it would be nice to skip those visits to the car wash? To get your car washed while you clean your house or maybe watch a movie? How about if you went into work with a dirty car and left in a clean one? Wash Me Now has found a way to make all of that possible: mobile car detailing. Our trucks come fully equipped to clean your vehicle. No matter if it’s a regular car, a van or even a bus, we clean them all. Every single Wash Me Now truck has its own mobile car wash unit, which has everything one might ever need to clean a vehicle—including its own electricity and water. We use only the highest quality equipment and cleaning products to make sure your vehicle drives away looking like new. Our mobile car washes provide busy people all over the GTA with professional car detailing, both interior and exterior. Regularly getting your car detailed not only keeps it clean—which makes your daily commute much more pleasant—but helps prevent permanent damage on your car caused by things like road salt. Oh, and by the way, we do much more than just small cars. Wash Me Now services every kind of vehicle, from two door cars to full length buses. We even wash delivery trucks for several companies. Whatever type of vehicle you might own, you can be sure it will look as squeaky clean as it did the day you bought it—maybe even better—if you call Wash Me Now today (647) 607-5199. As long as you’re in the GTA, we will come wash your vehicle—and we won’t charge a ridiculous amount of money to do so. Wash Me Now provides affordable mobile car detailing across the GTA. We also know that every car owner has different needs, so we offer a wide range of packages allowing you to choose exactly what cleaning services you’ll pay for. Wondering just how clean one of our mobile washing units can make your car? Check out our online photo gallery to see our work. Oh, and while you’re on the website, don’t forget to take a look at our special offers. 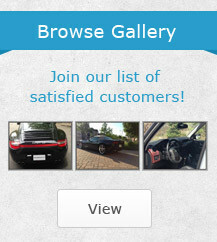 We designed them to make your car detailing not just convenient but also cost effective. We know exactly how important it is to keep your car clean and we also know how expensive car maintenance can become. When you call us, we’ll make sure that you leave with a clean car and money left over in your wallet. 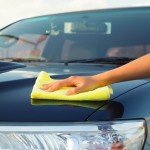 So how do you get your car cleaned while you’re sitting on the couch at home or hard at work in the office? It’s simple, really. All you need to do is give us a call at (647) 607-5199 and let us know when and where you would like us to clean your car. Call Wash Me Now today and we can make your car look like new again. You don’t ever have to leave the comfort of your home. 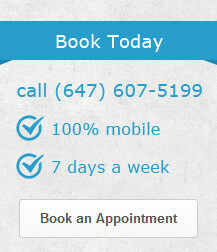 So don’t wait, call us today at (647) 607-5199 and book an appointment to get your car detailed. How do you know your car needs a wax?